Soft, Hard or Squidgy Brexit? (Stop Googling – I made the last one up). No matter where you stand, the whole process has become something of a spectator sport. At times an unedifying one, with people taking up hard and immovable positions or ‘red lines’ one minute, and abandoning them the next. The whole thing seems somewhat chaotic. So what is going on? 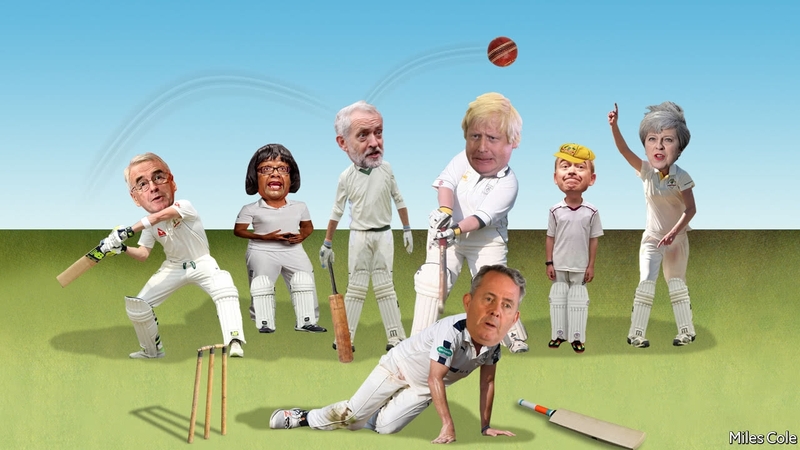 Is the British political class as second rate as some [The Economist | Bagehot: The second eleven] would have us believe? At first glance, it might seem so. Or are they playing to the rules of the game that, just like cricket, can be somewhat opaque to the uninitiated? Bold statements threatening dire consequences seem to go against the first rule of negotiation – make the deal Win/Win, or the deal won’t last. Not only that, but at least from the UK side some of the utterances have been frankly nonsensical – “Brexit means Brexit” was an interesting start. The latest is “No deal is better than a bad deal”. No deal in fact is a deal. One that puts the UK on the world default trade rules set down by the WTO, and they are very bad indeed compared to where we are now. On the EU side, we have Michel Barnier saying he is ‘not in a mood to compromise’. Intransigence abounds, and we seem to be heading for lose/lose, not win/win. What we are seeing is the hard reality of complex negotiations. There is a table in the centre. On one side is the UK Conservative party. On the other, the EU negotiation team. But behind each is a mess of interests, personalities and positions that have somehow to be reconciled and managed. For the EU side, there are 27 sovereign governments, ranging from the hard right in Poland to the pro-European in Germany and France and leftist Greece. At one level, these negotiations are about the UK exit, but on a far more important level for Europe, how these negotiations are undertaken and the result that emerges could strengthen the EU or tear it apart completely. Up against the principle of European solidarity and peace, the UK might be at the table, but they are a small sideshow to the main event. For the UK side it is just as complex. In the Conservative party itself there are Remain, Soft Brexit and Hard Brexit factions. 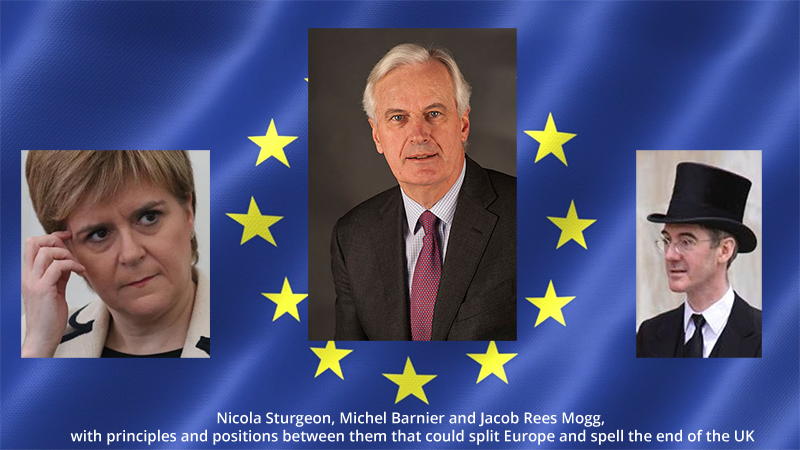 Then we have the reluctant Brexiteers of the Labour party, and the Remainers of the LibDems and the SNP. The Conservatives are a minority government, being kept in power by a small, very socially conservative Northern Irish party (another negotiation). There are cross party alliances being formed in the Commons. It is all about as orderly as a box of frogs. Different positions abound, from Jacob Rees Mogg’s “if it’s good enough in India we’ll accept it here” on emission standards (see the article from the independent) to the SNPs threat of another independence vote if they don’t like the result (although the latest election result appears to have weakened their hand just as it has the Hard Brexiteers). All of which is about the second rule of negotiation. Understand the principles behind the stated positions. Only if you get what your side and the other side really care about will you understand what to give and how to get a good result. Looking at the principles playing out on each side at the moment, I’m nervous. But I do have hope. The last UK election gave a great example of what happens when you lose track of your most important stakeholder, and misunderstand the game you are playing. In ‘Game Theory’, there are finite and infinite games. In a finite game, there is a winner. In negotiation, this is win/lose. In an infinite game, the game never stops, so there is no winner, only staying in the game. In negotiation, this is win/win. Think of a football match. 2 sides, 90 minutes, the only purpose is to win. By fair means or foul. It is a finite game that has an end. So, if one player finds a way to cheat, maybe a dive in the penalty box or a sly tug of the shirt, there are no negative consequences as long as the ref doesn’t see. This game is Win/Lose. Now change the game. Still football. But widen the view. The footballers are playing for their contracts. They are wondering about their next move, or getting into their national team. Before and after the game it is all hugs and handshakes. Score a goal, and the scorer runs to the fans, kissing the club badge on their shirt. In the end that is where the money comes from, and their relationship with their fellow professionals and the fans will in the long term greatly determine their career. The aggregate of those fan relationships and how well the players play determines how many people watch, and therefore what their wages are. This is the game footballers and clubs really play, and it never ends. This is the position the negotiators find themselves in. If they try to ‘win’ the Brexit negotiation, they will both lose. Just over a month ago the Conservative right tried to ‘win’ by calling a snap election on their version of Brexit, and talked openly of crushing the Labour Party and finishing it as a power in British politics. They tried to ‘win’ British politics. Two months ago, I was thinking that History would judge them harshly. It turns out I was wrong. History may well do, but the electorate got there first. From a very low start, Labour came within a whisker of the Tory popular vote, and added together left leaning parties received more votes than right leaning ones (if less seats). The Tories forgot who they were supposed to be fighting for. It is about the electorate. A party that forgets that and focuses on the opposition instead will find itself in trouble as the Conservatives just have. 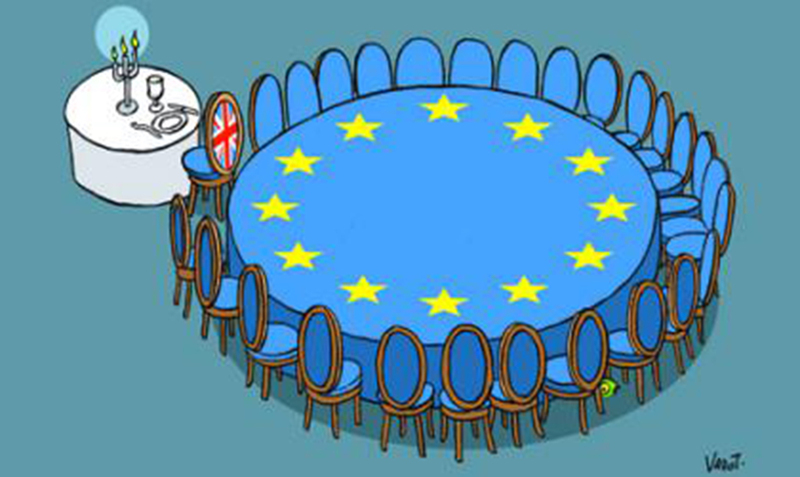 In this negotiation, both the EU and the UK must remember who their real stakeholders are, William Ury’s ‘3rd side’ https://www.ted.com/talks/william_ury. If the deal they strike does not work for their electorates, the people will judge them harshly way before history gets a chance to. That is my beacon of hope. The couple of principles of negotiations mentioned here were cemented a long time ago (early ‘80s) by Fischer & Ury. Negotiation skills and practice has come a long way since. Max Bazerman’s Negotiating rationally (1991) looked at how cognitive and motivational biases make for bad negotiations and bad decisions. The US airlines industry as a collective lost $3 billion in the ‘90s in giving away free seats due a competitive escalation of commitment in their frequent flyer programmes. And these companies were run by smart managers. If this is something that piques your interest, our webinar next Thursday evening, 6th July at 7pm on Zoom conferencing will investigate how our rules of thumb and psychological biases consistently get us bad deals. Harvard Business School’s Deepak Malhotra has written (and tweeted) a lot about explosive negotiations and conflict escalation in his latest book “Negotiating the impossible”. His HBR piece on “When is winning is everything” is a masterpiece on escalation of commitment. Good negotiation skills stand alongside selling and influencing as key life skills whether you are an employee, an entrepreneur, a manager or a government leader. If you want to find out more about how a negotiation works, try out TechUK’s one day course on Negotiating Fundamentals. TechUK is a membership organisation of 900 companies collectively employing more than 700,000, about half of all tech sector jobs in the UK. Neil Marshall is Development Director of ChangeSchool. ChangeSchool believe elite business education should be for everyone, not just the few.